The Dentist always tells us to floss twice a day, but perhaps after this story Prison Dentists may reconsider this recommendation! In 1994, a Prison Inmate in West Virginia braided dental floss into a 18ft rope and used it to scale down a wall and escape. Luckily he didnt get too far, but his escape prompted a change. 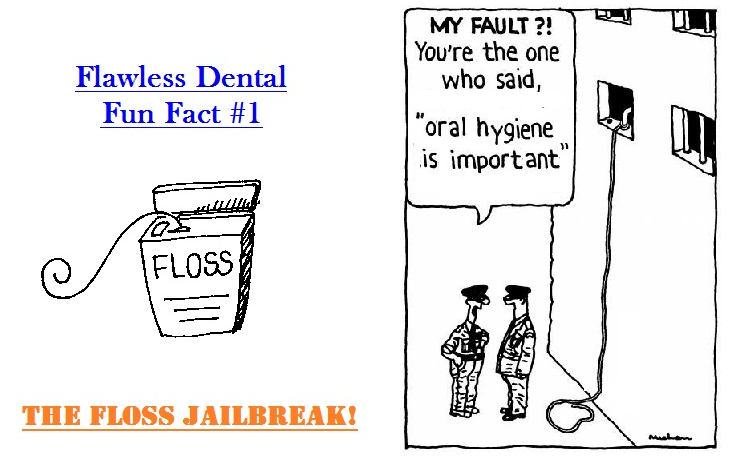 Many Prisons now consider floss to be contraband. Fun story indeed, but we recommend using floss to clean between your teeth instead of climbing prison walls!